The biggest advantage of staying at the Jochgrimm ski resort in the area of the Dolomiti Superski is not man-made. That’s probably why it’s so convincing! Its magnificent location and awe-inspiring alpine panorama make the Jochgrimm an almost mystical high-altitude experience. In the midst of the Dolomites – and yet so close to the charming cities and quaint towns of South Tyrol – you can feel the freedom. The Jochgrimm resort is situated at an elevation of 2,000 meters above sea-level, on the beautiful high-altitude plateau of the Reggelberg, between Aldein / Aldino, Radein / Redagno, Deutschnofen / Nova Ponente, and Obereggen. Here the snow is guaranteed to last until well into the spring. While we can’t promise you non-stop sunshine from dawn till dusk on a daily basis, you can still be sure that, here in the south of South Tyrol, between the Weisshorn / Corno Bianco and the Schwarzhorn / Corno Nero, there is no scarcity of clear skies and brilliant sunshine. Do you prefer classic downhill skiing, or is snowboarding more your style? It doesn’t matter: On our slopes and lifts, everyone is equally welcome! 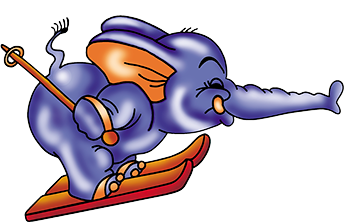 While the kids play on the children’s slope with its two “magic carpets” and the playground, the more-practiced skiers can ply their craft on the steeper slopes of the Weisshorn / Corno Bianco and the Schwarzhorn / Corno Nero.